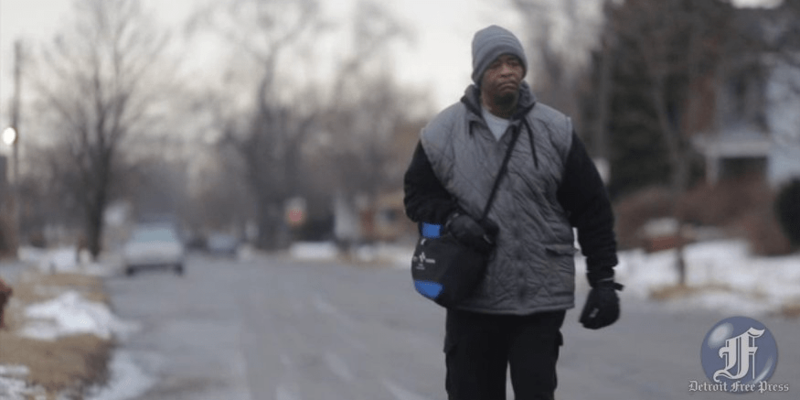 Every day, 56-year-0ld Detroit resident James Robertson walks nearly two marathons. With a factory job 23 miles from his house and no car, he heads to work on foot. While Robertson rides the bus part of the way, he walks about 21 miles over more than four hours to arrive on time. And he still has to walk back after work. Robertson also maintains perfect attendance. “I set our attendance standard by this man,” Todd Wilson, plant manager at Schain Mold & Engineering, told the Detroit Free Press. 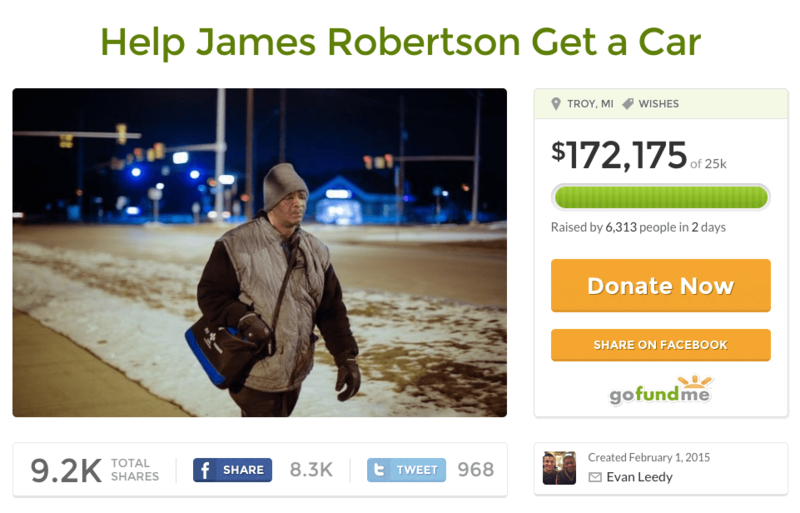 When Evan Leedy, a college student in the area, heard about Roberton’s daunting commute, he started a GoFundMe page on Feb. 1. “I initially set the goal for $5,000 just to get him something, bus fares and taxi rides,” Leedy told ABC News. Two days and 9,200 shares on social media later, people have given 6,426 donations, totalling over $172,000. Now, Leedy hopes to give Robertson a car and some money for his first few insurance payments. The corporate offices of Honda and Chevrolet have already offered to donate a car, ABC News reports. Ever since Robertson’s car broke down more than a decade ago, he leaves his house at 8:30 a.m. to arrive for his 2 p.m.-to-10 p.m shift as an injection molder. The work pays $10.55 an hour — above minimum wage but not enough to buy and maintain a car. Robertson then arrives home around around 4 a.m.
Last year, UBS banker Blake Pollock saw Robertson clambering over snow banks so many times, he decided to stop and talk. Ever since, Pollock sometimes offers Robertson a ride. Even after Pollock arrives home at night, he’ll go out looking for Roberston, especially in the bitter cold. “I always say to my friends, I’m not a nice guy. 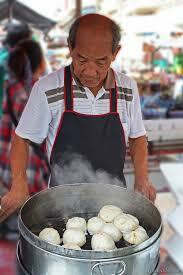 But I find myself helping James,” Pollock told the Detroit Free Press. Now, thousands of other people can say the same.